While there are many valid reasons brands will choose to keep their efforts in-house, it’s worth noting that this will require quite an extensive team and a lot of effort to do so successfully. The reality is that most businesses who aren’t operating at the same level as a global powerhouse like Nike are likely better suited to start by bringing in a third-party to manage these influencer relationships. Need more convincing? Here are five signs to look for that indicate your business would benefit from outsourcing their influencer marketing efforts. 1. You’re new to the influencer marketing game. 2. You aren’t ready to pay for a dedicated team. 3. You plan on leveraging influencers for multiple campaigns or audiences. 4. You aren’t capable of constantly researching the ever-evolving industry. 5. You want other examples to follow. If your brand has only recently dipped it’s toe in the influencer waters, there is a lot of uncharted territory to navigate ahead. What type of contract do you use for influencer campaigns? Who are the right influencers to convey your brand message? What are the metrics of success to track as you execute your campaign? Was an influencer partnership successful enough to engage in future campaigns? There are loads of details to sort from start to finish and if you haven’t participated in dozens of these exchanges already, your business would benefit greatly from letting a third party step in to show you the ropes. Agencies know how to navigate these questions with their eyes closed, as they’re seeing these processes through day in and day out with a variety of clients. What may seem like a daunting decision to you is likely something they’ve seen play out 100 times already While you’re still educating yourself on this tactic, it would behoove you greatly to learn from their expertise. Many businesses will decide to offload all influencer management responsibilities to their social media teams. And while these parties should absolutely be involved in the influencer relationship process, it would be a mistake to assume they have the bandwidth to properly manage such a large task on top of their other roles and responsibilities. Influencer identification, management, communication and all other tasks involved to successfully execute these type of campaigns are a full time job in it of itself. So if you do want to keep these efforts in-house, you should be prepared to hire a dedicated team of experts and strategists who can focus their efforts entirely on managing these efforts (separate from the people responsible for writing your social content calendar or handling your media planning/buying). Otherwise, you’ll risk overworking your social team and simultaneously producing mediocre influencer campaigns. Many brands are multi-faceted and reach a variety of sub-segments within their larger audience. For example, a brand of eyeglasses may want to target one line to women, another to men, and some designs to older or younger demographics. In order to reach the proper audience for any given campaign, the network of influencers who can do this will vary greatly. One beauty of working with an influencer agency, is that they already have a pre-existing network of influencers that they can easily tap into. You want to work with mommy bloggers? They have you covered. Male tech-heads? Covered. Millennials specifically located in the greater New York City area? Again, you’re covered. Having an automatic “in” with a community of influencers will save loads of time from having to search for, identify and reach out to influencers to work with your brand. Perhaps you’ve done a ton of research to get up to speed with influencer marketing as of late. But do you have time to continue to research this ever-evolving industry on a daily basis? Given the fast-paced nature of this landscape, the rules are constantly changing. If your business isn’t prepared to stay on top of all the moving parts and pieces (again, by having a dedicated team who has the bandwidth to focus on doing so) you are likely better off involving a third party who is doing this regardless. Agencies are keeping a close eye on emerging trends and staying ahead of the curve- whether your business is using them or not. They are constantly looking out for things like the launch of IGTV, updates to algorithms on various social platforms, or new technologies introduced within the Facebook ad platform. 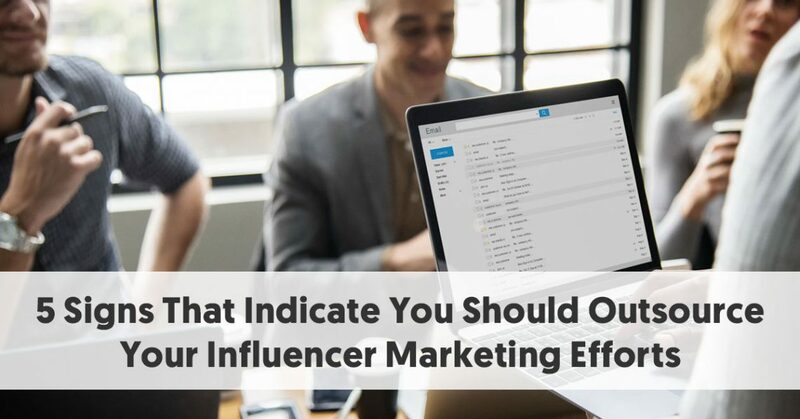 Involving a third-party provides your business with a peace of mind that none of these inevitable updates will slip through the cracks or go unnoticed as you plan your influencer marketing campaigns. We often learn from those who have already done what we are currently trying to do. If you aren’t willing to risk trying something that has never been done before (including the costs associated with that risk), it would behoove you to look at case studies and success stories of influencer marketing campaigns that have gone well in the past. Most agencies will already have a broad portfolio of past client work that they can share to provide insight into what sort of tactics have worked really well and which ones haven’t. This knowledge can range from helping decide which influencers have already proven to be successful partners with other clients in the past, to knowing what a realistic engagement rate for a campaign should be, to which audiences respond best to type of message you’re looking to convey. Even brands who are thinking of bringing their influencer marketing efforts in-house would benefit from transitioning into this slowly. Completely departing from an agency who specializes in these processes and can answer their questions straight away will likely be an overwhelming undertaking. If, in fact, your business is already well-seasoned with influencer campaigns and you are prepared to hire out a dedicated team who can properly handle the gravity of this imperative form of marketing, you might be ready to shift these efforts in-house. Regardless of which makes the most sense for your business, the reality of this practice is undeniable: influencer marketing isn’t going anywhere and brands must plan accordingly in order to succeed. 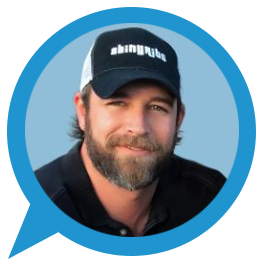 Jason Pampell is CEO and Founder at HireInfluence.com, a “white-glove” influencer marketing agency with offices in NY, LA and Houston. Since 2011, HireInfluence has delivered innovative campaigns with industry-leading results for the world's most prominent brands. The agency is recognized as an elite service provider, with an offering that includes influencer casting, strategy development, on-site engagement support, experiential project management and expert consultation.